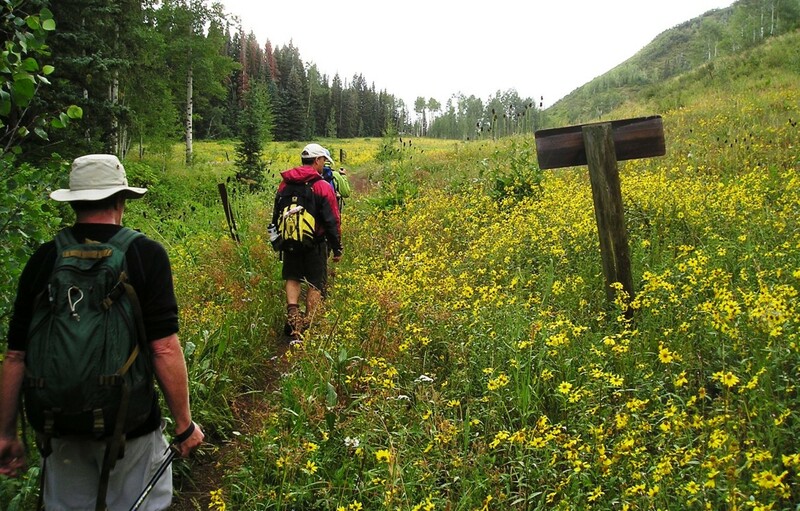 Summer is the most popular season in Hunter Creek when hiking trails are overgrown with wildflowers. Starting in summer 2014 trail work, logging, and prescribed burns may impact this popular landscape. The beautiful, and popular, Hunter Creek valley above Aspen. The nonprofit Wilderness Workshop has been working to shape a decision expected in mid-December by White River National Forest Supervisor Scott Fitzwilliams on the Hunter Creek-Smuggler Mountain Cooperative Plan. 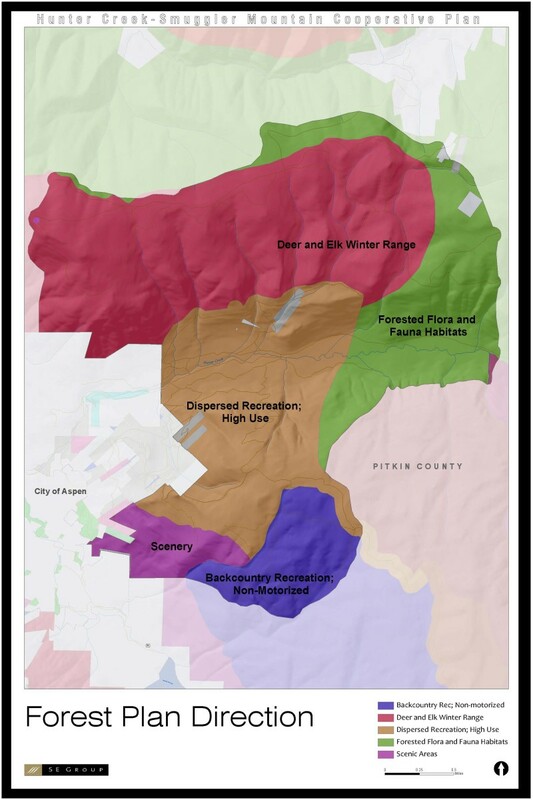 Through letters and meetings Wilderness Workshop has raised concerns about the plan, which if approved will bring 20 years of forest and trails management to 4,681 acres of Smuggler Mountain and the Hunter Creek valley, what many consider Aspen’s backyard. The advocacy group is urging Fitzwilliams to close the illegal mountain bike trail called the Balcony Trail, revise Forest Service logging plans, reduce the impacts of helicopter use, and re-think road and trail construction. In its most recent objections, filed in October, Wilderness Workshop also criticized a collaborative process that has been touted as a model by its members – the US Forest Service, the City of Aspen, Pitkin County and the Aspen Center for Environmental Studies (ACES). Today, though, leaders from those entities say that Wilderness Workshop’s objections have strengthened the still evolving plan. Wilderness Workshop challenged the plan’s integrity under the National Environmental Policy Act (NEPA). “The decreasing specificity seen in recent planning documents,” wrote Wilderness Workshop, “undermines the Forest Service’s claims that the project is the result of stakeholder consensus and collaboration. “This change of course gives little confidence that future design, analysis and implementation outside of the NEPA process will respect past work much less incorporate future suggestions made by stakeholders like Wilderness Workshop,” the group said. After filing its objections in October, Wilderness Workshop’s staff met in November with representatives from the city, the county and ACES. 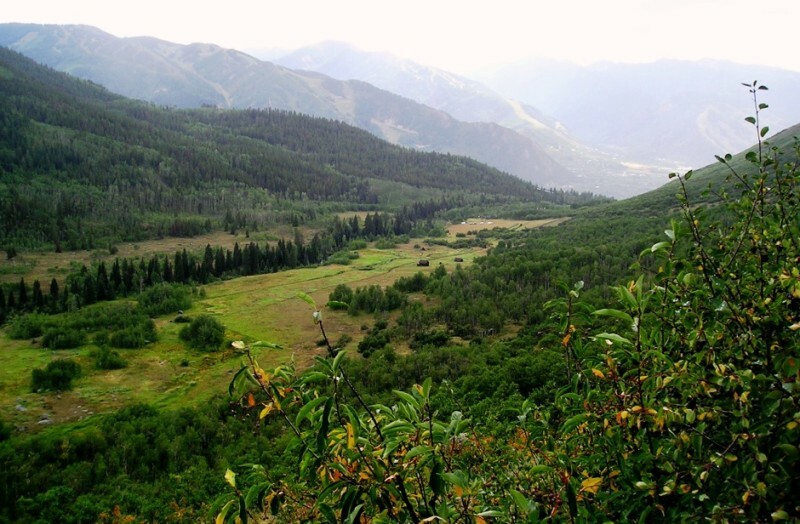 That agreement – in the form of a letter to Forest Supervisor Fitzwilliams – was signed by Shoemaker and Lane, as well as by Steven Ellsperman, the director of the city of Aspen’s parks and open space program, and Gary Tennenbaum, the assistant director of Pitkin County’s open space and trail program. The letter suggested changes to the plan and to the Environmental Assessment that evaluates it. “We encourage the Forest Service to adopt these changes both as a way to improve the overall project and as a way to satisfy Wilderness Workshop’s most significant objections,” the letter stated. That depends, however, on what Fitzwilliams approves as the federal decision-maker. 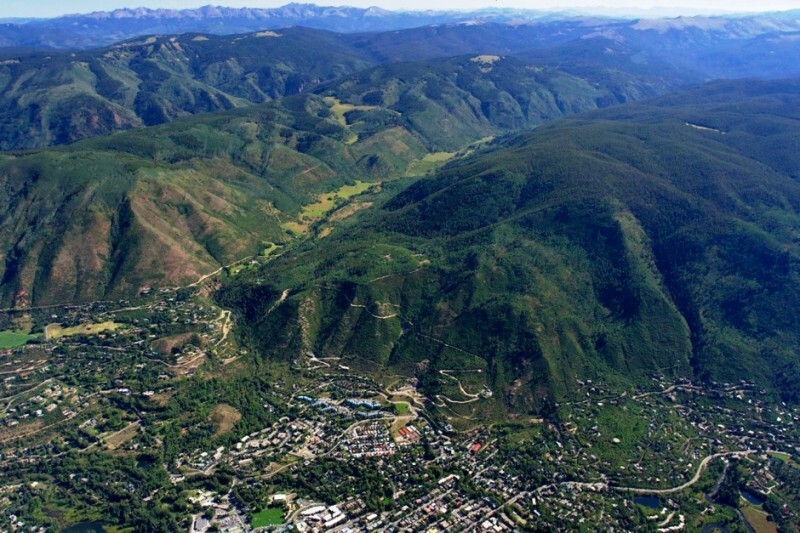 An aerial view showing urban Aspen, the dark forested slopes of Smuggler Mountain and the lush Hunter Creek valley. 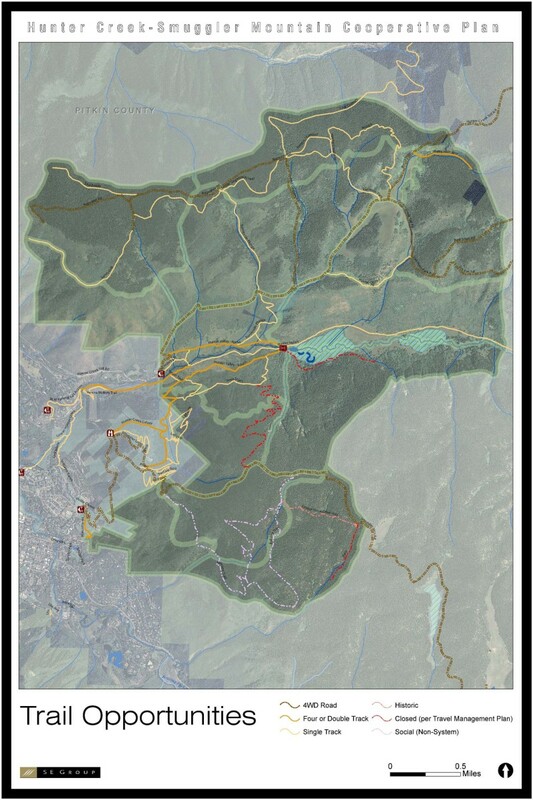 One area of the plan that could draw a post-decision appeal by Wilderness Workshop is the Balcony Trail, a “bandit trail” built illegally in a roadless area on the south end of Smuggler Mountain, which has wilderness qualities and sensitive wildlife issues. Because of its hard line on the Balcony Trail, Wilderness Workshop knows is not loved by some mountain bikers. Wilderness Workshop’s chief concern is that the Balcony Trail is being considered in the plan as an existing baseline condition. The Hunter-Smuggler comprehensive plan refers to the Balcony Trail as a “social trail” developed by mountain bikers outside of the Forest Service review process. This is where Wilderness Workshop objects most strenuously, saying that the illegal Balcony Trail should not be granted consideration as an existing use because it was put in without approvals and necessary studies. “Prior to and following any new trail approval on the south side of Smuggler Mountain, the Forest Service shall evaluate the impacts of that trail on wildlife populations and habitat and in consultation with Colorado Parks and Wildlife will consider modifications of trail location and management up to and including closure if impacts are shown to be significant,” the letter states. The plan for the Hunter-Smuggler area includes more signage on the trails. Wilderness Workshop also urged that the proposed Hummingbird Traverse and Hunter Ditch Loop trails, both part of the plan, be mapped on specific corridors and studied closely for impacts. The wilderness nonprofit also challenged proposed “patch cuts” of lodgepole pine, asserting that “the epidemic is considered to have run its course and the conditions that supported it (vast homogenous stands of LPP) no longer exist. “The most severe and unprecedented [beetle] epidemic known to man just swept through the Rocky Mountains, killing lodge pole pine trees across tens of millions of acres from Colorado to the Yukon,” wrote Wilderness Workshop. And the use of helicopters in the logging plans should also be reevaluated, said Wilderness Workshop. Wildfire and beetle kill have put lodgepole pine forests at risk, prompting the Cooperative Plan to propose thinning stands with patch cuts. 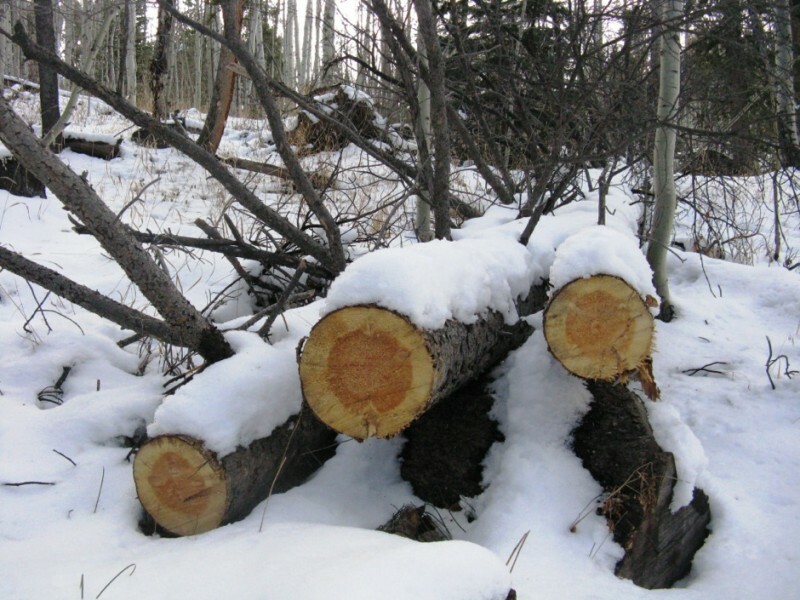 The proposed widespread use of this forest tool has been challenged by Wilderness Workshop. Forest Supervisor Fitzwilliams has read the comments from Wilderness Workshop. “Trust is not fostered overnight,” he wrote in an introduction to the plan, “rather, it grows on this Forest through consistent dialogue and responsibly following through on informed actions. Shoemaker sees the working collaborative process as a practical necessity. Public comments on the plan. 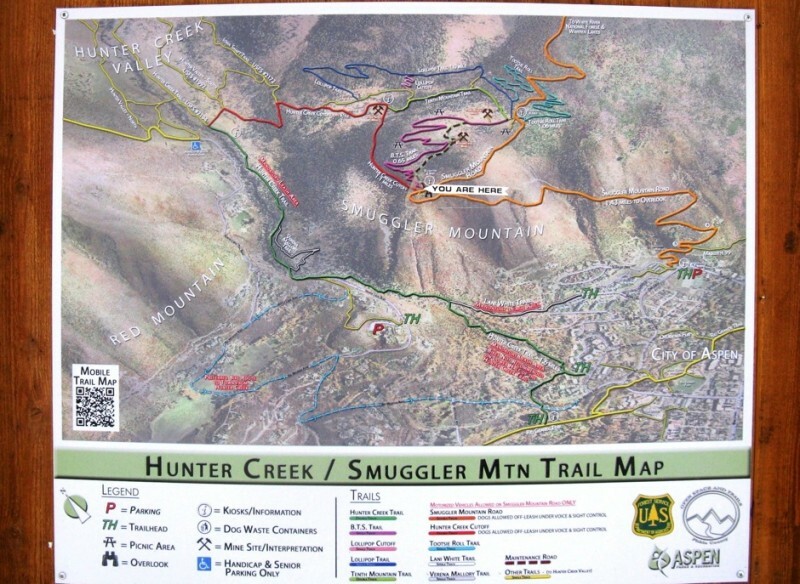 A map showing trail opportunities in the Hunter-Smuggler area.